Lawn Bowls is a precision sport where people with a physical disability can participate in specific competitions or equally with able-bodied competitors. There are no changes to the standard competition rules of Bowls which involves rolling radially asymmetrical balls (called lawn bowls) towards the target of a smaller white ball (called the Jack). 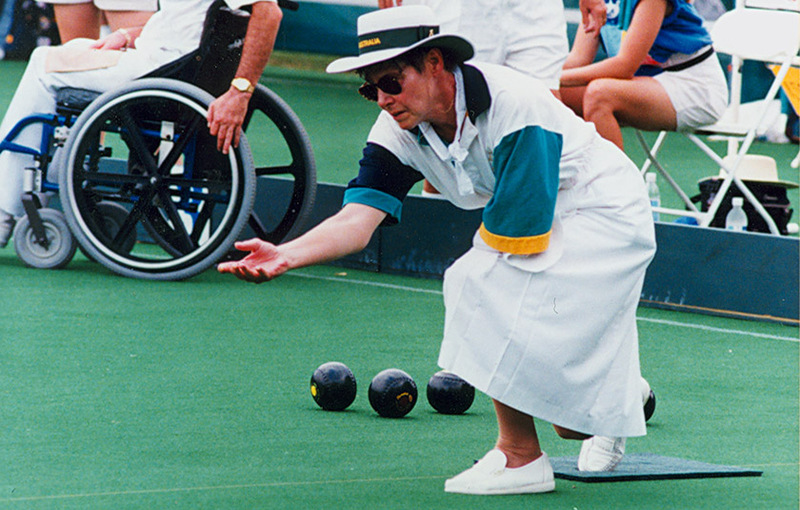 Lawn Bowls for athletes with a disability was introduced in the 1968 Paralympic Games. The sport continued on the Paralympic program for two decades until it was dropped after the Seoul Paralympics, and was picked up again for one more Games at the 1996 Atlanta Paralympics. Australia has been very successful in Lawn Bowls winning 10 gold, 4 silver and 6 bronze Paralympic medals. Lawn Bowls were also part of the Commonwealth Paraplegic Games, and were introduced at the Edinburgh Games (1970) and continued until the final Commonwealth Paraplegic Games in Dunedin (1974). Para-Sport Lawn Bowls was included in the programs for the 2014 Glasgow and the 2018 Gold Coast Commonwealth Games. The inclusion of Para-Sport Lawn Bowls in the Commonwealth Games has helped to mainstream the sport and integrate these athletes into able-bodied sports organizations.